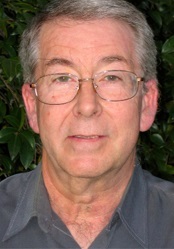 Michael Aschbacher is a professor of mathematics at Caltech. He was a leading figure in the classification of finite simple groups (CFSG). Today Ken and I ask a simple question about proofs that appeal to CFSG. The CFSG was originally announced in 1983 amid articles totaling tens of thousands of journal pages. The case of “quasithin” groups was however found to be incompletely analyzed, and it took until 2004 to close it in papers by Aschbacher with Stephen Smith. In a survey for AMS Notices that same year, Aschbacher reviewed what that means for confidence in the whole classification. Here we are not playing on any doubt about the proof. Instead we focus on its power: What simply-stated facts about groups can one obtain using CFSG that are unknown without it, or known only in weaker forms? We could go through a whole book by Smith on applications of CFSG, but we’ll just choose one kind of example about how many elements are needed to generate a group. Generation of a group is connected closely with elementary approaches to group isomorphism. Definition 1 For a finite group let be the cardinality of the smallest generating set of . Theorem 2 Assuming CFSG, if is a simple group, then . If the group is an abelian simple group then . The above theorem was a longstanding conjecture, and is only proved now by using the CFSG. The proof is quite direct: For each type of family of non-abelian simple groups, one must check that they are all -generated. Of course this does not use the CFSG. It beats the “trivial” bound by a factor of 2 in the case of simple groups. Proof: Now must have an element of order at least . This follows since a group with only order divisible by and is not simple unless it is abelian. Then, we argue that is generated by the conjugates of . has cardinality at least . Then is in . But since is a prime this implies the lemma. Theorem 5 (CFSG) For any finite group and prime , if each Sylow- subgroup has then . It follows that if is maximum such that divides for some prime , then . This bound too, however, requires CFSG. What bounds can we obtain without it? Fast-forwarding to a year ago, Lucchini includes Guralnick as a co-author on work analyzing the graph whose nodes are members of and is an edge of generate . Since the identity is an isolated vertex unless is cyclic, often it is omitted to eave what we’ll call . When is finite and simple, not only is nonempty, but is connected and has diameter 2. The graph also figures into a 2016 paper by Lucchini with Peter Cameron and Colva Roney-Dougal, which has the broad title, “Generating sets of finite groups.” This paper has a lot of interesting computational results and does not seem to lean heavily on CFSG. So it may be a conduit for asking and answering some of our questions about the power of CFSG. I assume that even without CT there is a much better bound on the generators for a non-abelian simple group. I have yet to find it. So the open problem is to send us a better citation. Fein, Kantor and Schacher showed using CFSG that this element can be chosen to have prime power order. It has not proved possible in the intervening 35 years to do without CFSG. This was not just idle curiosity. They used this to show that the relative Brauer group of a finite extension of global fields is infinite (forgive me if I don’t give the definitions). Indeed they showed that this number-theoretic result would imply the permutation group result if an independent proof of it could be found.